The Victorian poetry of sexual love between men and women has not been as fully studied as other components of the imaginative literature of the period, and some of the attention it has received has been more concerned with the society and ideology of the age than with the poetry or the love. This study attempts an integrated account of the three elements, with particular emphasis on the close reading of poems. 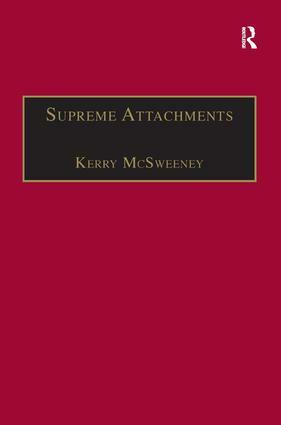 Chapters are devoted to the distinguishing features of Victorian love poetry; Browning’s dramatic lyrics; Tennyson’s Maud and the lyrics from Princess; women poets (Barrett Browning, Christina Rossetti and Emily Dickinson); Clough’s three long poems of contemporary life, Meredith’s Modern Love; the lyrics written by Morris and Dante Rossetti during the late 1860s and early 1870s, when the latter was conducting an affair with Morris’ wife; and two elegiac sequences, the bereavement odes from Patmore’s Unknown Eros and Hardy’s Poems of 1912-13. A final chapter uses the love poetry of D H Lawrence to point up continuities between Victorian and later love poetry. Contents: Introduction; Browning's Lessons in Love; Tennyson's Delicate Vessels; Unkissed Lips: Women and Love; Clough's Compasses to Steer By; Physic for Adults: Meredith's Modern Love; The Old High Way Of Love: Morris and Dante Rossetti; Love Elegies: Patmore and Hardy; Continuities; List of Works Cited; Index.